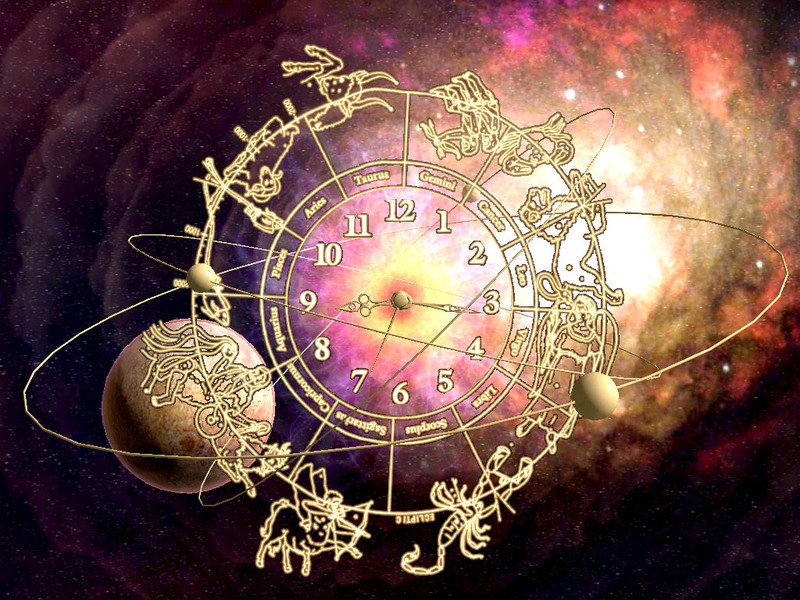 Astrology is the teaching about the influence, which the celestial bodies moon, sun, planets and stars are believed to have on the life on Earth, as well as the art of predicting the future trough calculations of the mutual relations between the positions of the celestial bodies (a Horoscope). As an advocate of a communicative view of Man and nature I am not in doubt about, that the parts within the wholeness are influencing each other. There are both ancient Chinese versions of astrology, as well as Tibetan versions, that I can see no reason to doubt the value of, when practised by a competent master. And the question about competence leads to my critique of astrology. In its psychologized form, astrology is a type of New Age therapy used for self-understanding and personality analysis (astrotherapy); that is: a reductionism (see my articles Six common traits of New Age that distort spirituality, The pseudoscience of New Age and reductionism and Humanistic psychology, self-help, and the danger of reducing religion to psychology). The danger of this reductionism is the same as the danger of clairvoyance (see my article Paranormal phenomena seen in connection with clairvoyance). The word horoscope comes from the Greek words Hora, which means time, and Skopein, which means investigate, and in this also lies the danger; the danger of loosing yourself in time. Rather than helping clients to become stronger and more independent, it can induce in the client an abdiction of responsibility and a state of sickly dependence on the astrologer. The so-called compensatory karma will by these experts and clients normal be misunderstood and abused as a kind of legitimation of, that we are as we are or do, as we do. He or she becomes obliged to do this or that, in order to equalize old karma – (or to follow the correct way of his destiny; or in case of clairvoyance: of what the spirits/dead tells him to do, etc., etc.). This is spiritual seen nonsense. Usually the whole thing is about escaping from reality or excuses (see my article What is karma?). A good philosophical principle is to examine, whether the karmacially talk and experiences of the experts and clients remove their energy-investments in the actual reality. If focus is displaced backwards or forwards in time, then the collective time has taken over and spiritual seen there therefore happens an escape. Only Man himself can find the progressive karma. The consciousness has the key in its life. It helps nothing, what astrologers may be able to see in the collective time, or fantasize about another person´s karmacially experiences. Many of these experiences (for example about past lifes) – and which have a certain reality for either the astrologer or the client – are collective fantasies. Nobody, and nothing, can tell you about your karmacially structures. All people - clairvoyants, regression therapists, shamans, astrologers etc. etc., (and tools, as for example horoscopes, personality maps, etc., etc. ), - who are claiming they can help you karmacial (with your destiny), are cognitional and ethical delusional and deceptive. Only your own realization opens. Whether another person even was able to read the whole of the karmacially course and tell the seeker about it, it would not help. On the contrary it would harm. Only your own inner experience and realization can open the spiritual dimension. Karma in other ways is nonsense. And by the way, that´s the same with all spiritual. The genuine karmacially structures do not lie in the collective time, but in the universal time, which work in synchronism with the Now. If the karma idea is used spiritual seen correct, then the focus, instead of being projected out in something afar (past lifes, birth, the past, the future), will be present in something very near, namely only in the most intensive experiences of this actual life, and after that: in this actual Now with its possibility of realizing your innermost. In all briefness you can say, that genuine spiritual counseling tries to guide people, who wish to learn, to go round the states, which have to do with the collective time, or at least, to shorten the passage through these areas. And if you are lost in them, to lead you back on the right track. Just an example of how you can be fooled by astrology and horoscopes: My professor in philosophy David Favrholdt once conducted an experiment with a large group of students. They were told that the experiment was about astrology, and that they each should have made a personal horoscope. The horocope for each student was then made by a professional astrologer, and when they received the horocope they were told to describe how precise it was. They all answered, that they were amazed how accurate the horoscope could tell about aspects of precisely their personal life. What they wasn´t told was that the horoscope for each student was the same, made after some typical astrological stereotypes. The experiment told about the power of wishful thinking and other thought distortions (there has been conducted many such experiments, also in other areas than astrology, for example with clairvoyance). Especially the thought distortion subjective validation was active here. Subjective validation is active when people will validate a set of statements allegedly about themselves as highly accurate even if these statements not are accurate. This tendency to find personal meaning and significance in statements not based on personal knowledge extends to words, symbols, initials, and objects as well (see my book A dictionary of thought distortions).